Marcom OPC Server DLMS for RS485/232 networks or optical probe. Support multi connection, advanced diagnostic functions. Marcom OPC Server DLMS is an OPC Server to communicate with the energy meters that implement the protocol DLMS (IEC- 62056, IEC 62056-21, IEC 62056-42, IEC 62056-43, IEC 62056-61, IEC 62056-53, IEC 62056-46). Supports serial communication RS232, RS485 and optical probe . Very high performance communication over the serial network is optimized for speed and reliability. Configuration simple and immediate : just know the communication speed of the counter and the address to insert it into your network and have access to all the variables of the device. 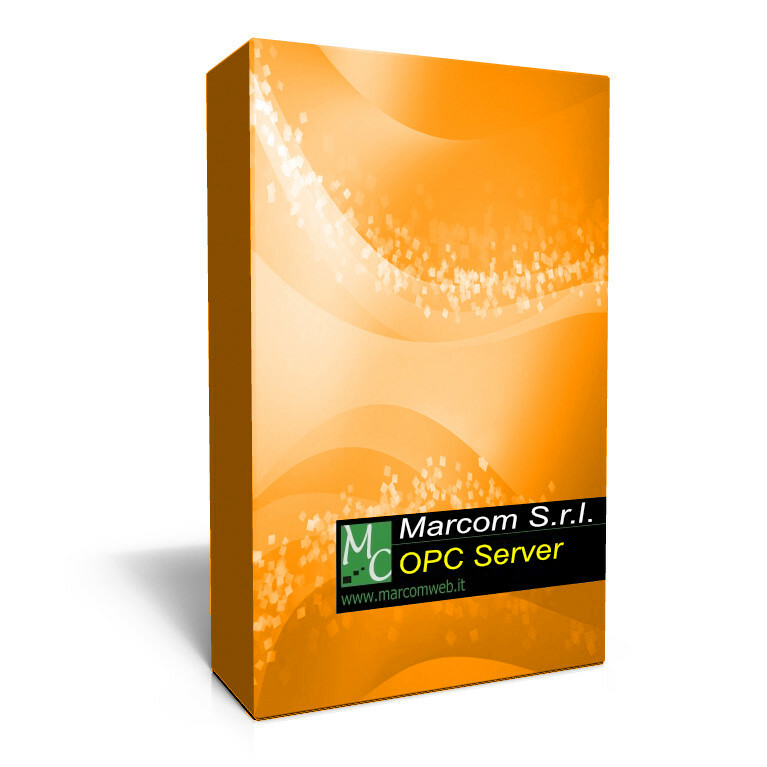 The Marcom DLMS Marcom OPC Server allows you to quickly access and comfortable to the data in the energy counters of different brands using a single server. The variables are consistently addressed using the DLMS standard language . With any client application that is compatible with the OPC specifications can be read all the data. It can be accessed simultaneously to an unlimited number of controllers. An algorithm for intelligent handling of requests for reading and writing helps to optimize the throughput of data in an extremely efficient: the reading block allows a refresh data without equal. The configuration is done through a convenient graphical interface, either manually or through a tool for importing from Excel file. Existing configurations can be exported to Excel for example by visualization systems or process control in order to be easily uploaded to the Marcom OPC Server DLMS. Including configuration examples of counters already tested. Introduced READOUT ON ETHERNET: brand new feature that allows you to communicate directly with the counters on Ethernet port using the serial protocol . Introduced "WRAPPER TCP" mode to comunicate directly on TCP port 4059 of meter that support this mode (Es. CEWE Prometer 100). Supported Data Types All data in the counter, totalizer and instantaneous values ​​of voltages and currents. To download the software, you have to register on the website.